If John Pemberton had not taken part in the American Civil War, he would not have become morphine-dependent, and we did not know today (unfortunately or fortunately, by preference) what Coca-Cola means. John Pemberton was born in Georgia, on July 8, 1831. He graduated from Georgia's Medical Reform College and in 1850 received his pharmaceutical license. In 1853, he married Ann Eliza Clifford Lewis and had a son together. When the Civil War broke out, John Pemberton fought for the Georgian State Guard, which was part of the Confederate (Southern) Army. After being wounded in the Battle of Columbus, he began to take morphine to relieve his pain and soon became addicted. Coca-Cola's invention is due to John Pemberton's efforts to get rid of this morphine depenence. Wanting to get rid of addiction, John Pemberton began to experience coca, the plant from which cocaine was obtained later. Pemberton tried different combinations with several ingredients. Eventually, he mixed the coca extract with round nuts, creating the Coca-Cola syrup. When he tasted his new recipe, Pemberton was convinced he would be very successful. He filled a syrup jar and took him to the nearby pharmacy to provide some samples. Customers agreed that the syrup was excellent. Pemberton mixed the syrup with carbonated water. He then worked with Willis Venable, a pharmacy owner, to refine and test the recipe. At first, the blend was put on the market as a "tonic for the brain" of medicinal value. Then, when it came to the market at the price of 5 cents, the mix was simply sold as a refreshing drink. A pioneer in marketing and advertising, Frank Mason Robinson, invented the Coca-Cola alliteration, a name that combines the two main ingredients of the product. Thus, the Coca-Cola Company was set up. Pemberton was successful with this invention. But she was not able to reach the goal of the creator of the recipe. Because he could not give up morphine, Pemberton continued to be addicted. And because the supply of this addiction costs money, it was almost gone bankrupt. To support his family (and morphine addiction), Pemberton began to sell the rights to his formula, along with pieces of the company. Pemberton still believed that his creation would become the national drink sometime in the future. So he remained the owner to a certain extent. He hoped to let his company inherit to his son, Charley. Pemberton claimed that other companies could use the formula, but Charley was the owner of the name "Coca-Cola". Only Charley was interested in earning money as soon as possible. So, in 1888, shortly before his death, John Pemberton, along with his son Charley, sold what was left of Asa Candler's patent. In August 1888, John Pemberton, ill for many years, died of stomach cancer. At the time of his death, he was bankrupt and still dependent on morphine. Mark Pendergrast is the author of the book For God, Country, and Coca-Cola - The History of the Great Mexican Soft Drinks and the Company that Manufactures it. According to Pendergrast, Charley Pemberton also suffered from substance abuse. Charley drinks alcohol and seems to be a great opium consumer. Besides, he died just six years after his father. 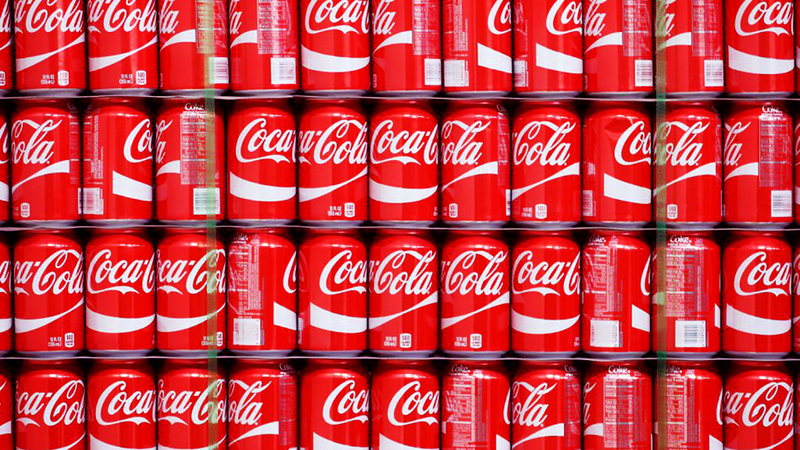 Meanwhile, under the guidance of Asa Candler, Coca-Cola has become the Coca-Cola corporation, becoming the world's largest maker and retailer of soft drinks.